Open Kitchen Concept: What is Zunda? I read, write and speak a little Japanese, which is very helpful whenever we travel in Japan. My vocabulary is rather limited, so there are many words I don’t really know... and when there are so many words you don't know, you don't get curious easily. But I keep seeing the words “Zunda” all over the Sendai train station.. And sometimes next to these words would be pictures of snacks – mochi and cakes with bright green paste. And I got very curious... What IS Zunda? Turns out that Zunda is a paste made from the Edamame (枝豆), or baby soybeans. 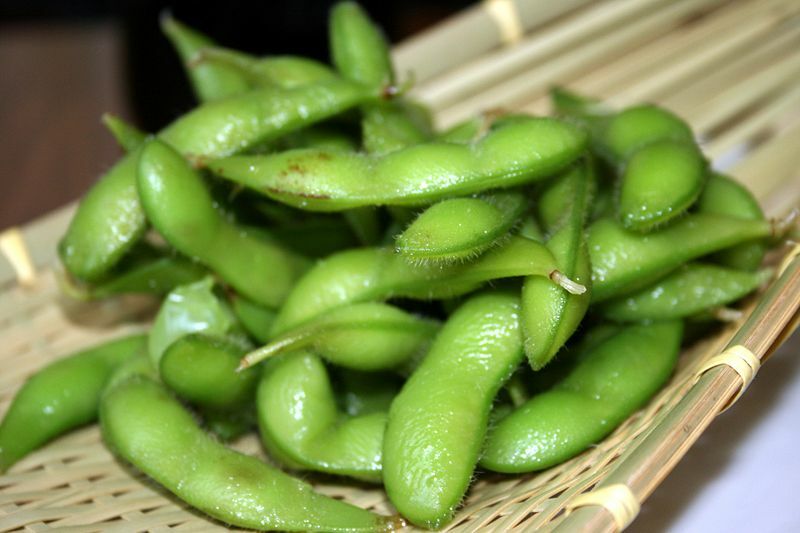 Most of us would be more familiar with Edamame blanched with salt and served cold with beer in a Japanese restaurant. Many of the sushi chain stores in Singapore serve these beans. Photo sourced from Wikipedia. See here for more. Edamame is eaten all over Japan but it is in the Tohoku region and particularly in Sendai that Zunda is popular. Frozen zunda mochi is a famous souvenir to bring back home to family and friends from Sendai – hence the many signs I saw at the train station. Zunda is made from the soybeans – young soybeans are harvested before normal harvest time, blanched and shelled and then ground into a very chunky-looking paste (think a very chunky version of peanut butter). The paste is sweetened with sugar and a little salt. Taste-wise, it is nothing like what you expect. 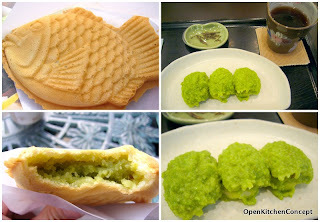 It is sweet like red bean paste, but not as sweet and more “crunchy”. It has a slightly beany taste, but taste fresher and greener. There is a chain store in Sendai called Zunda Saryo that sells very yummy zunda desserts. We had zunda mochi there – absolutely delicious but a little filling for a dessert. We also had Zunda Swiss roll there. The Husband had the vanilla one and I had the sakura roll. It is like a regular cake except that the cream filling is made with zunda. Very delicious! The cream was not too sweet and it had a wonderful texture to it because of the crunchy paste. This shop also served black bean tea which is interesting but is probably not something you want to drink too often – it has a very strong beany taste. I also tried zunda pudding and I think it is really good. 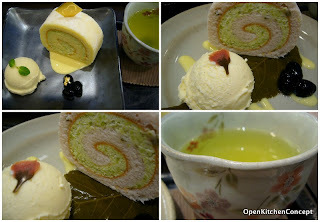 Zunda cakes served with ice-cream and green tea. A delicious afternoon tea. The sakura one is so pretty! 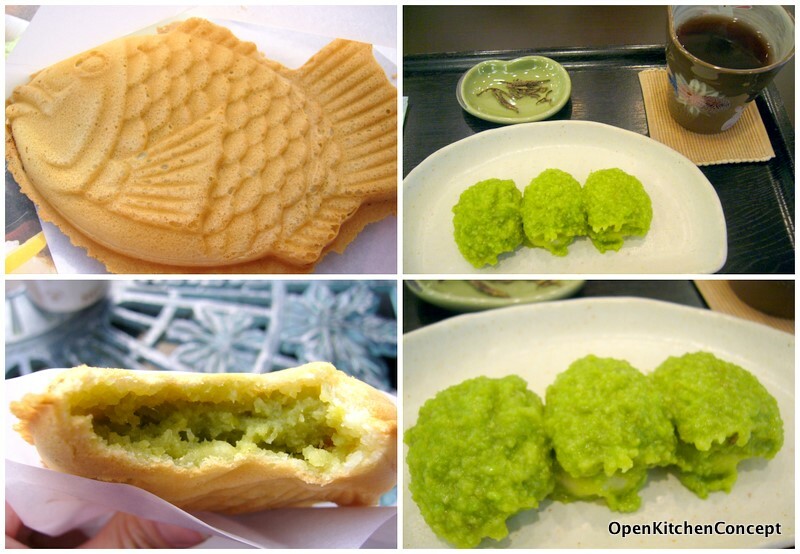 All around Sendai, you can find lots of zunda related snacks - zunda taiyaki (fish-shaped pancakes filled with zunda instead of red bean paste), zunda buns, zunda pudding and so on. Yummy and supposedly pretty healthy too.